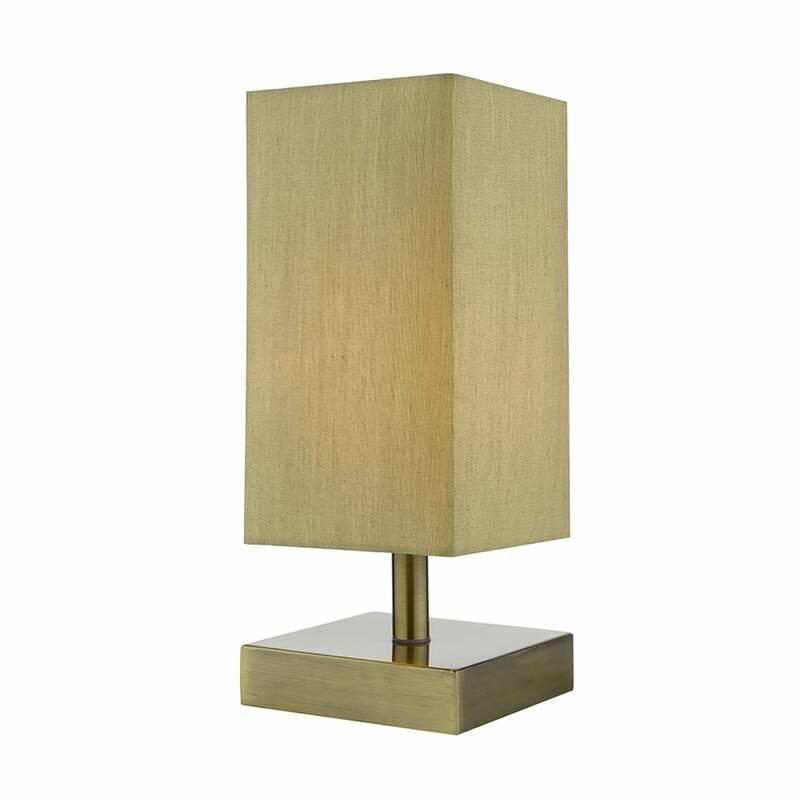 Dar Lighting Drayton touch lamp features a square shaped base with stem in antique brass finish holding a taupe cotton rectangular shade. This stylish table lamp is touch operated and allows you to dim the light to create atmospheric lighting, making this a perfect choice for modern or contemporary decors. Double insulated and touch operated. This product code is DRA4029. The Drayton touch lamp is also available in polished chrome with either a pink or white shade, all can be viewed on our website.